My favorite item on the menu so far is the pulled pork sliders. That entire tray was for me alone. Just kidding, I can't each 12 but they're only $2 each on Mondays so it was a good start for the table. The pulled pork in general is solid, nicely cooked and seasoned with some pickled onions. Lather on the sauce and it's quite tasty. The regular pulled pork sandwich is a monster and mostly just a pile of meat on some bread (still good just not really a sandwich). 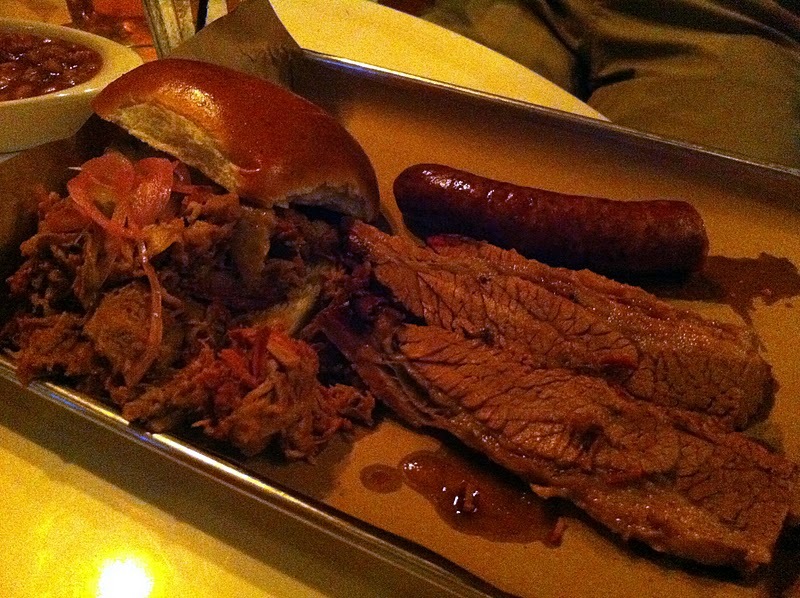 The combo platters on the menu are the most interesting since you get to try different meats. They both come with two sides and a hot link but Combo 1 is half chicken, half slab and Combo 2 is pulled pork and brisket. 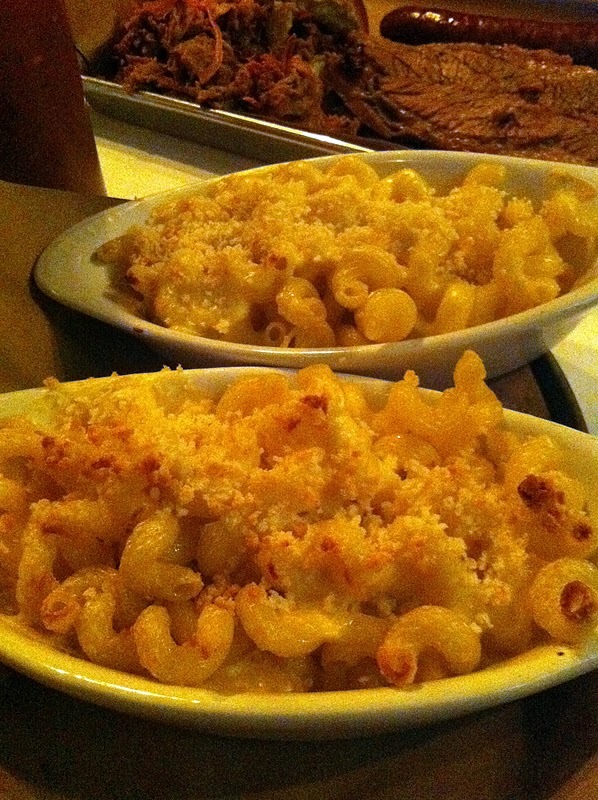 For $22 and $20 respectively, there's more than enough food for two people if not more. 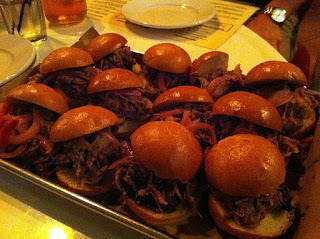 I preferred the chicken and ribs but the pork is also good (just had my share with sliders). I'm not usually a link guy but these are pretty good. Not hot and spicy but solid. 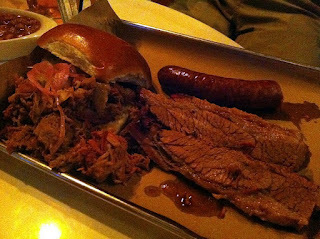 The brisket was disappointing as I like mine leaner and more tender. All of the sides are good. The mac n cheese was hit across the table, three ordered and none left. The baked beans are fine, nothing special, but I also really liked the sweet potato fries (something of a trend these days). The beer flowed freely with $10 pitchers of green line (on Mondays) and everyone enjoyed good bbq to celebrate Carson's birthday. Barn does a great job of knowing their customer and making them happy. Prices are reasonable and the food is consistent without needing to be world class. The large patio will be an asset in the summer, but the TVs will be an asset during Fall football and winter basketball. If you want the best bbq in the city there are other places but Barn goes after a different crowd and succeeds with a fun place to watch sports, drink beer and eat good food.